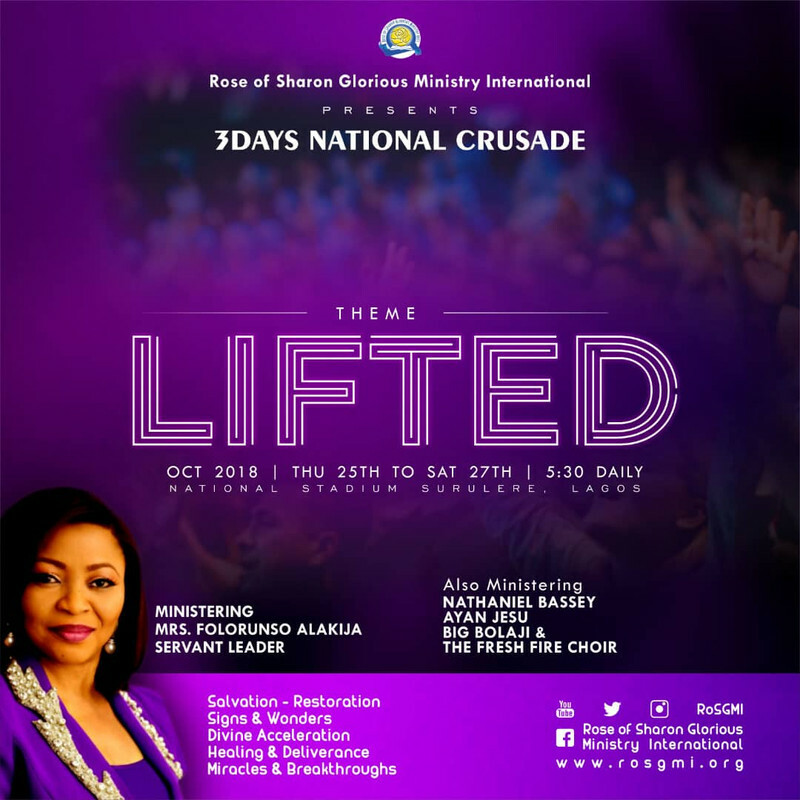 Thursday 25th to Saturday 27th October 2018, At National Stadium, Surulere, Lagos. Also Ministering: NATHANIEL BASSEY, AYAN JESU, BIG BOLAJI . You can’t afford to miss this one! "And now my head shall be lifted up above my enemies all around me; Therefore I will offer sacrifices of joy in His tabernacle; I will sing, yes, I will sing praises to the Lord." - Psalm 27:6 (NKJV). Adjust your schedules, prepare your heart, make room for the new thing God is set to do in your life. Are you ready? There will be FREE MEDICALS and more ... DINNER WILL BE SERVED. Entry is FREE! 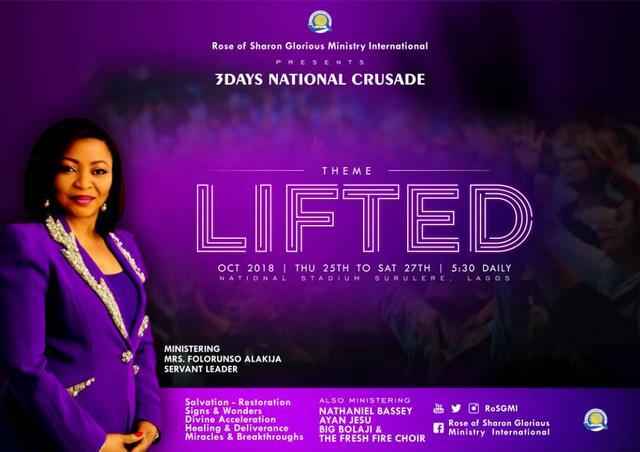 Reminder: the 3 days crusade kicks off in the next 24 hours; prepare your heart, make room for the new thing God is set to do in your life. Are you ready?